Look 10 years younger overnight! Who can resist a pitch like that—especially when the pitch letter comes with a free sample? So it’s only human to give the latest miracle ingredient a try—and to be disappointed when you look exactly the same the next day. In cases like this, however, the real problem usually lies not in the ingredient itself, but in the manufacturer’s false product claims. My experience as an aesthetician and lifetime user of plant-derived oils and emollients has taught me that improving the appearance of a damaged, aging complexion takes time and a long-term commitment to protecting and nourishing your skin’s health. What’s So Special About Squalane? So before you abandon this natural moisturizer for a cheaper petroleum derivative such as mineral oil, let’s look at the facts about squalane. 1. Safety and Effectiveness Squalane is a stabilized version of squalene, one of the natural moisturizing factors (NMFs), found in the stratum corneum, or outer layer of human skin. Squalane’s close resemblance to human sebum ensures our skin is able to quickly absorb this natural oil and to benefit from its ability to keep our complexions soft, moist, and supple with minimal chance of negative side effects. 2. Antioxidant Power A recent study on the environmental pollutant ozone by Charles Weschler of New Jersey Environmental and Occupational Health Institute suggests that squalene is the primary antioxidant in our skin that protects against ozone’s harmful effects. 3. Green Goodness The plant-derived squalane in all-natural skincare products is a safe, eco-friendly ingredient. Squalane sources such as olive oil, olive leaf, and rice bran are environmentally responsible alternatives to shark’s livers that avoid further depleting the world’s overfished oceans. When it comes to evaluating skincare products, a little fact checking can save you a lot of money and disappointment—but don’t forget to check your expectations first. “Face It,” Judith Thurman, The New Yorker, March 29, 2010, pp. 58-61 While the author cautions that this grisly tale may have been concocted as a cover-up for drug dealing or terrorism, its inclusion in this lively, down-to-earth look at the latest wrinkle preventatives certainly makes a dramatic point. If a conspiracy involving high-end cosmetic companies buying human fat at $60,000 a gallon strikes a gang of criminals, the Peruvian police, and the public as a plausible motive for mass murder, then society’s search for “hope in a jar” is definitely getting out of hand. As Thurman notes, “Apart from dying, there is, to date, no permanent cure for wrinkles.” Yet she also readily admits her own susceptibility to the alluring claims of today’s anti-aging industry. But while her straight talk about the realities of aging is refreshing, I couldn’t help feeling the rueful tone of her article might leave many mature readers feeling resigned to looking older than they feel. The fact is, there’s a lot you can do to restore a healthy glow to aging skin. Scientific research into the mechanisms of aging continues to uncover new ways to prevent and even repair the free radical damage that ultimately leads to dull, wrinkled, sagging skin. From sun protection, solid nutrition, optimal fitness and adequate rest to mental and spiritual serenity, the elements of a balanced holistic lifestyle will do more to rejuvenate and revitalize your complexion than any so-called miracle cure. But remember: The positive effects of adopting good health habits don’t happen overnight. Although achieving incremental improvements over time demands patience, commitment, and discipline, you’ll enjoy more lasting results while avoiding the risks of radical procedures. The same is true of your daily and weekly skin-care routine. Regular use of safe, effective plant-derived cleansers, toners, serums, and moisturizers comprise the skin-care regimen of choice for a face that’s beautiful at any age. Once the favorite health food of herbivorous dinosaurs, the primitive horsetail plant has been known for its healing properties since Greek and Roman times. Throughout the centuries, Ayurvedic, Native American, Chinese, and European herbalists have prized the nutrient-packed stems of this fern-like perennial as both a medicine and a cosmetic. The same properties that make horsetail an effective wound-healing agent and rash treatment also help restore youthful radiance and firmness to mature skin. In addition to reducing inflammation, horsetail strengthens veins and capillaries, stimulates cell renewal, and soothes and softens the skin surface. Its rich supply of silica, potassium, magnesium, and other minerals further improves the appearance of aging skin by promoting collagen formation. Horsetail is also a gentle natural astringent that cleanses and tones the complexion without drying it out. With so many skin-rejuvenating properties, it’s no wonder horsetail is often called the Beauty Herb! The purity and safety of the ethically grown and tested horsetail extract in LaVie Organique™ toner, serum, and other Original Formula products is guaranteed. Certified by qualified third-party inspectors, this 100% organic ingredient is free of all pesticides and other harmful chemicals. So, you can enjoy the revitalizing benefits of my horsetail-enriched formulas with complete confidence. Now that so many ads for skincare treatments are touting the benefits of COQ10, my clients have been asking me for information about this increasingly popular anti-aging ingredient. The name may sound like something out of science fiction, but COQ10 is actually a natural substance produced by our bodies. An anti-oxidant like vitamin E, this valuable micronutrient counteracts the damaging effects of free radicals on the skin. Recent studies suggest that COQ10 can help reverse the appearance of aging by strengthening the collagen and elastin in skin cells. So why do we need to buy something we can already make ourselves? The fact is, COQ10 levels start diminishing by the time we’re in our late 20s. The COQ10 in my LaVie Organique serum and day, face, and eye creams helps impart a fresh, healthy glow, while diminishing fine lines—and it’s safe for virtually all skin types. Wrinkles and sags are caused by problems in the skin’s dermal layer. This is where collagen, skin’s support system, is found. Collagen is very sensitive to nutrition, so a diet full of phytonutrients (plant nutrients), for example vitamins, antioxidants, minerals, and essential fatty acids, is critical to maintain the fullness and firmness of youthful skin. If you haven’t changed your eating habits over the years, you may notice the development of wrinkles and blemishes as you age. If you’re following the same diet that you did twenty years ago, your skin will not look as it did then. This is because, as the result of a poor diet, over time the intesines become unable to effectively absorb nutrients. The lack of nutrient absorption is then reflected in the face as wrinkles, age spots, or sagging skin. Even the term “freckles,” seemingly harmless spots, reflect toxins under the skin, visible by light filtering through the translucent epidermal layer. My grandmother used to tell me when I was a child, “You never use soap on your face.” She never told me why, but today, we know that most soaps are alkaline. When you use soap, the skin loses the acid mantle (which we mentioned in the post on Skin). The cells shrivel up due to dehydration, and they don’t line up nicely. When light hits the surface of dried-up skin, you see wrinkles. Generally, dehydration is a big factor, secondary to soap use. That is, increasing water intake alone does not give dramatic relief for wrinkles. It is also necessary to stop water loss by restoring the waterproof layer. This holds water in the cells and stops new wrinkles from forming. What is a blemish, or freckle, or age spot? A main cause of waste in the blood is a challenged liver. The liver is affected by artificial sweeteners and preservatives, artificial flavors, pesticides and other toxic chemicals. If the liver is unable to deal with the burden of these toxins, they remain in the blood and are carried in the bloodstream to the skin. To prevent age spots, minimize the amount of artificial and chemical food ingredients that you ingest. One easy way to do this is to make the switch to organic produce. To combat numerous age spots, a “liver flush” is recommended. Lavie Organique featured on The Green Connoisseur! The Green Connoisseur Blog, which discusses “high-end goods and services that are green and sustainable,” graciously gave LaVie Organique a glowing review recently. View the full article below, and don’t forget to also check out The Green Connoisseur Blog, http://thegreenconnoisseur.blogspot.com/, for more thoughts on eco-friendly living! LaVie Organique, shipped directly to your door. When using the skin creams and body lotions, imagine yourself with a life as interesting as Lavinia’s: studying economics in Romania, becoming a national rock climbing champion, and receiving a CIDESCO certificate in skin care from the Swiss institute. Now Borcau’s salon incorporates isometric exercises, a European exercise style called barre, vinyasa yoga, and of course, these wonderful organic products for a lifetime regime of skin health. Massages, pedicures, and manicures are all available on site. LaVie Organique is serious about science as well as nature: the spa and product website contains an A to Z encyclopedia of cosmetics, herbs, minerals, and all the terminology, products, and ingredients used in the full Borcau skin regimen. Balance is the key to good health, sustainable living, and excellent skin care. Borcau’s approach encourages that skin care be a practice, just like yoga or other healthful approaches to wellness. She has created a line of seven revitalizing formulas that work together to extend skin’s suppleness at every layer. The products are based both on Borcau’s Swiss scientific training and generational knowledge passed down from her grandmother. Recently Borcau has expanded her knowledge to include Asian tea therapies. The teas and herbs are made from certified organic plants grown in Siberia, Japan, and of course, Romania. They are certified by the Natural Product Association as cruelty-free, organic, and sustainable (in fact, they exceed the guidelines). The daily regimen includes cleanser, toner, eye cream, and day cream, while evening adds a protective serum. The Face Mask sounds as delicious as it does rejuvenating: Borcau designed it to restore elasticity and lessen the appearance of fine wrinkles and other signs of aging. Made with organic apples and organic quince, Hungarian chili peppers, white willow bark, and ground walnuts, it exfoliates and firms the skin. Just imagine the penetrating heat, the cool willow and apple, with the spark of quince and pumice of walnut. Your skin will look good enough to eat. 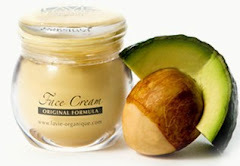 Available at Lavinia Borcau Skin Care, 29 Harvard Street, Brookline (617-734-5523); online atlavie-organique.com.